An Unbelievable Artist…. In The Ocean! 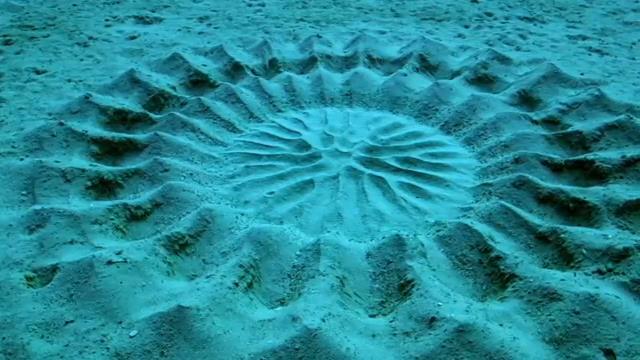 For one week – 24 hours a day – the male Japanese Puffer Fish works to create a masterpiece that will attract a mate. The symmetry of his construction mimics God’s handiwork – it’s that amazing!